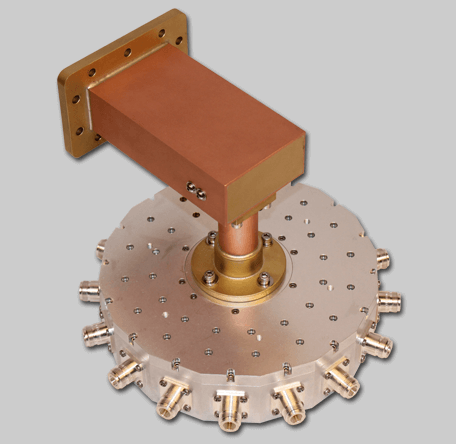 Model D9706 is a High Power, Radial Combiner, designed to cover the full 2700-3500 MHz bandwidth. This 16-Way Combiner, is rated for 2,000 W CW at the Sum Port. Operating with less than 0.35 dB Insertion Loss, the D9706 is ideal for radar, EW, and Telecom systems.